Pripyat was built in 1970 to house workers at the nearby Chernobyl nuclear plant. 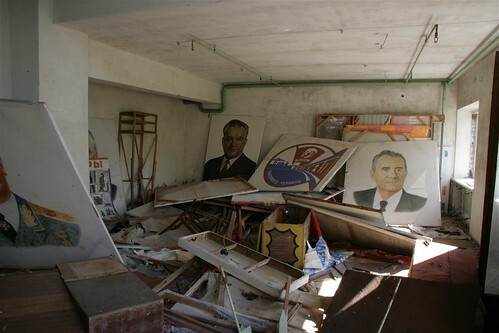 It’s now an empty city, abandoned in 1986 after the worst nuclear accident in history. 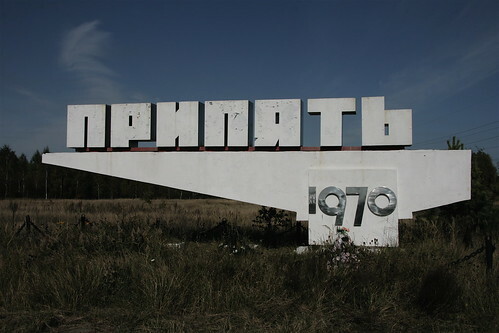 Recently, Chernobyl and Pripyat have become unlikely tourist destinations and my visit in October 2007 was arranged through a travel agency in Kiev. Visiting Pripyat is a disconcerting experience: because it is the largest post-War ruin in existence, the empty streets and buildings feel like a real-life version of countless ruined cities in post-apocalyptic cinema. 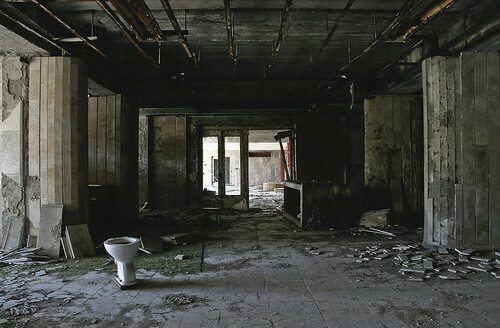 For Edensor and others, such experiences are potentially transformative, ‘suggesting new forms of thought and comprehension, and … new conceptions of space that confirm the potential of the human to integrate itself, to be whole and free outside of any predetermined system’. 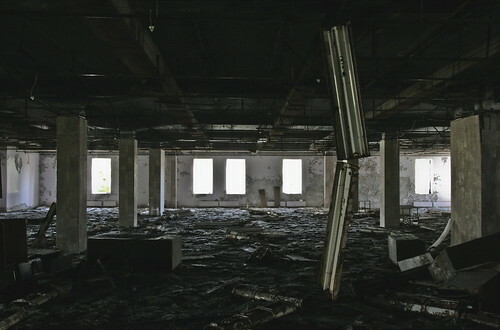 Yet, such positive assessments of industrial ruins tend to present them as alternative spaces within the ordered, modern city. It is one thing encountering an industrial ruin in the midst of the ceaseless life of the city; it is quite another if all is ruin, if there is no counterbalancing order at all. 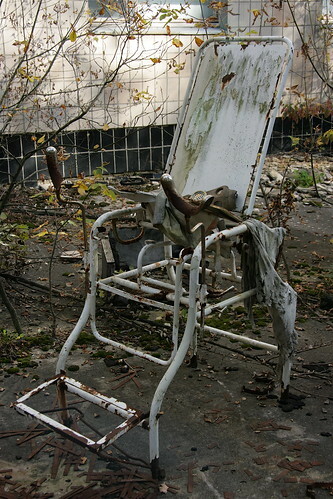 Indeed, for the ‘voices of Chernobyl’ – those who experienced the accident and its aftermath at first hand – the site represents something much more than a technological ruin: for one witness ‘Chernobyl was a way into infinity…it shattered existing boundaries’; for another ‘the World no longer seemed eternal as it had done before … we had been deprived of immortality’. For many Chernobyl represented the end of communism, even if its final collapse was delayed until 1991. 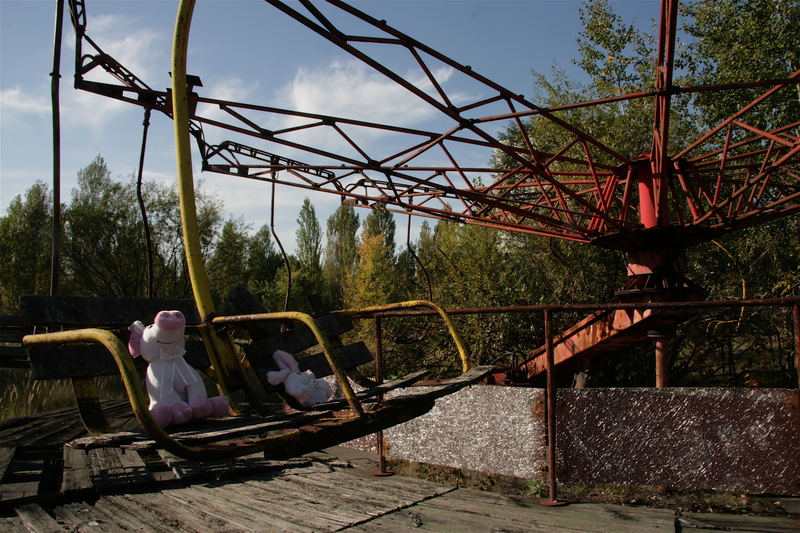 Before Chernobyl they were protected by the Soviet state apparatus; after it, they were forced to become individuals again, left alone in their own private zones. 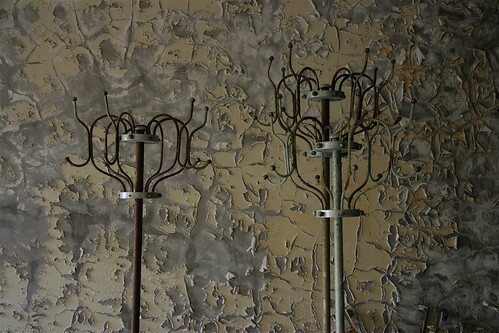 The sense of Chernobyl as both technological and cosmic catastrophe is embodied in the experience of the spaces of Pripyat and more specifically, in the ‘city-like’ quality of it. 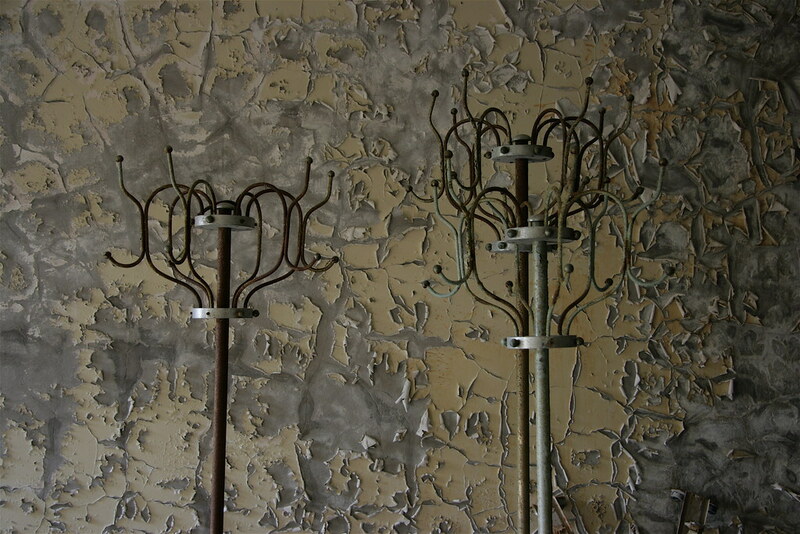 With its endless blank corridors, disorientating repetition, and the evidence of violent human agency at work in its spaces, Pripyat is more ruined city than collection of industrial ruins, inviting meditation on loss on a cosmic scale. Great read! Maybe you could do a follow up on this topic!!! I have recently started a site, the information you provide on this website has helped me greatly.